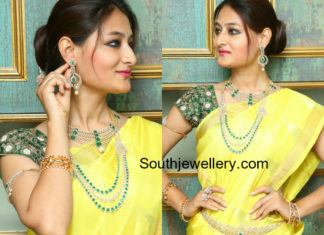 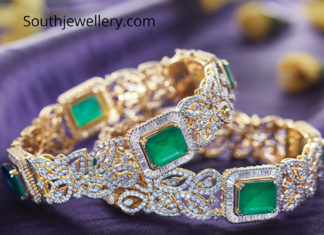 18 Carat gold bangles studded with diamonds and emeralds by GRT Jewellers. 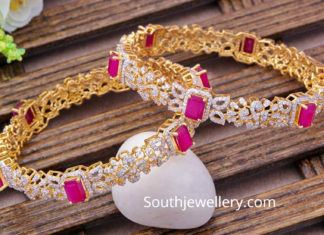 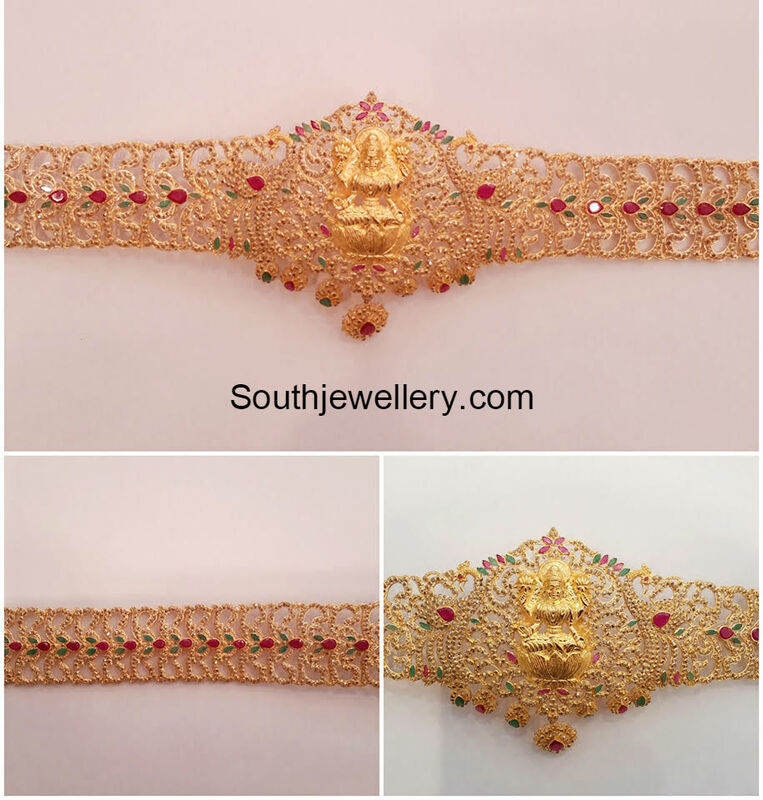 18 carat gold bangles studded with diamonds and rubies by GRT Jewellers. 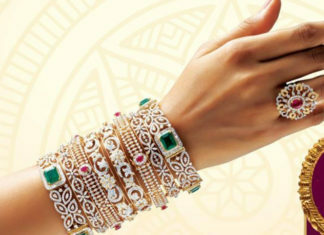 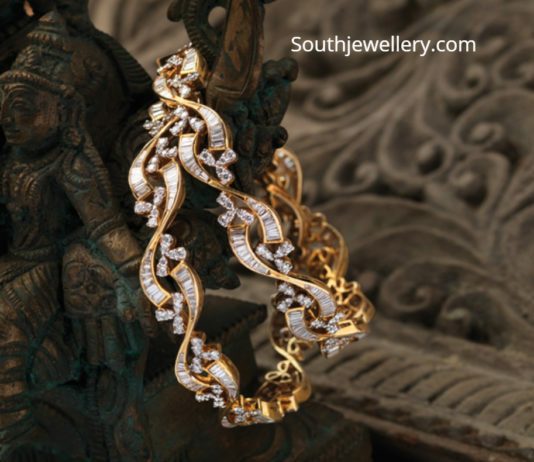 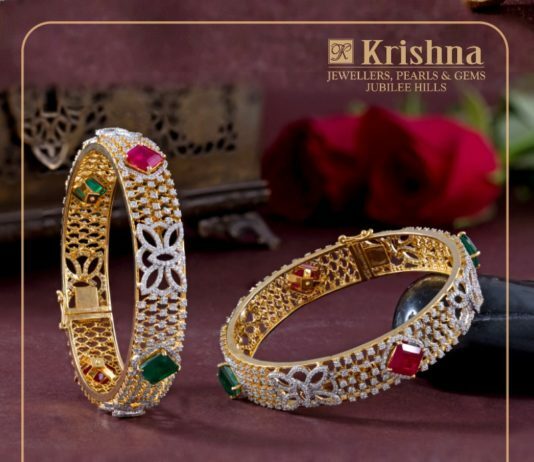 18 Carat gold diamond bangles studded with diamonds, rubies and emeralds by GRT Jewellers. 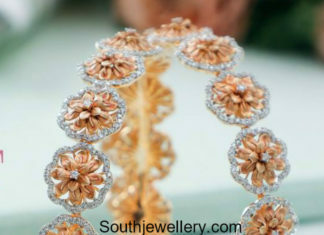 Rose gold floral bangles studded with diamonds. 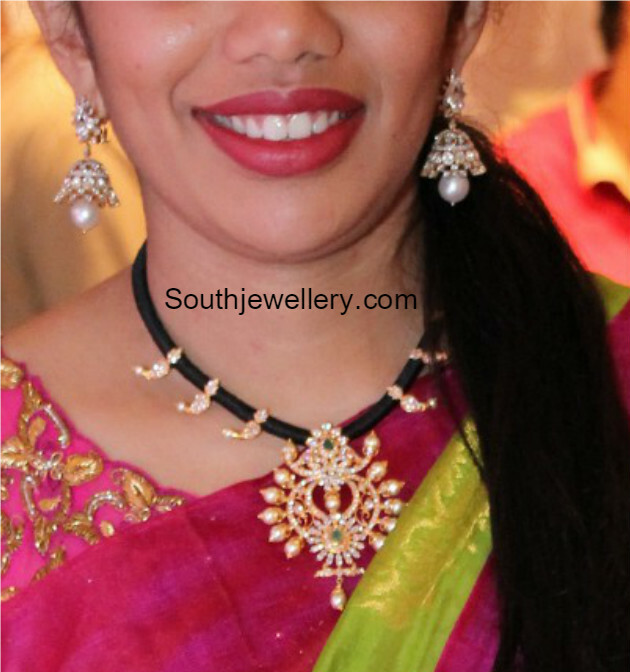 Anisha Ambrose in a diamond ruby choker paired with matching earrings and bracelet. 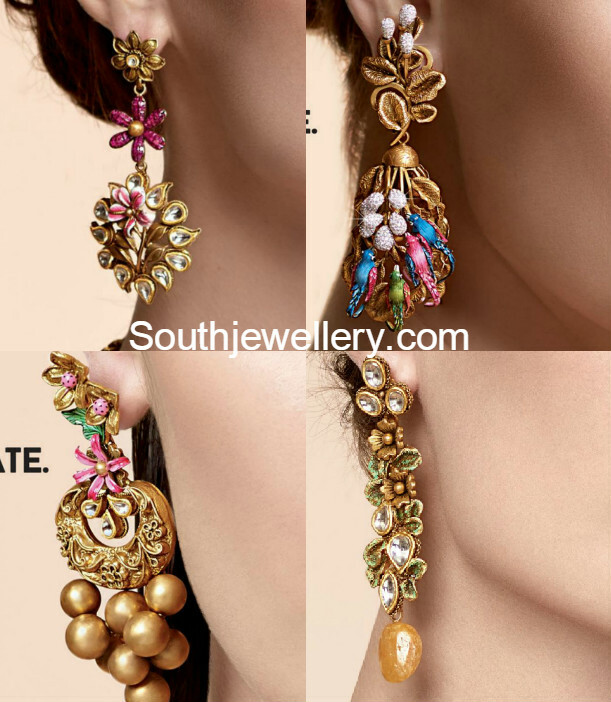 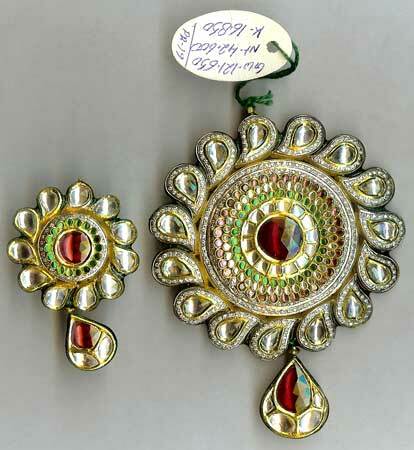 22 carat gold floral design antique toned earrings embellished with enamel from JCS Jewel Creations.